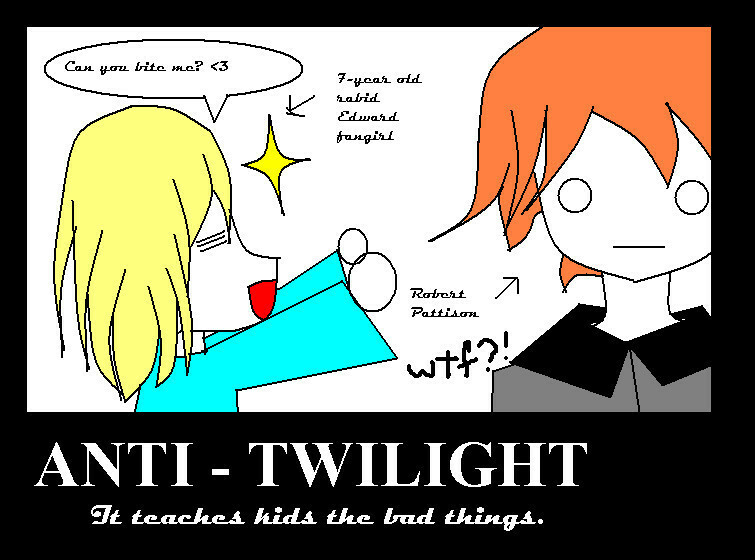 Anti-Twilight. . HD Wallpaper and background images in the Critical Analysis of Twilight club. This Critical Analysis of Twilight fan art contains anime, comic book, manga, and cartoon. Lolz yeah.... POOR LITTLE GIRL! Imprinting was inspired sa pamamagitan ng ducklings and dragons.